GUANGZHOU, China, Nov. 6, 2018 /PRNewswire/ -- The 124th China Import and Export Fair (Canton Fair), has gathered more than 8,600 companies from the areas of textiles and garments, shoes, cases and bags, recreational products, medicine and healthcare products and food to showcase their market-driven ideas and designs to global buyers during its Phase 3 exhibition. "The Canton Fair is linking global demands with local designing and manufacturing capabilities, and now we can see that the design of the products displayed during Phase 3 of the Canton Fair are in accordance with the structural changes in the consumer market, which also match global buyers' needs," said Maggie Pu, Deputy Director General of the Foreign Affairs Office at Canton Fair. "We are privileged to witness the progress our exhibitors and buyers have made through their visit to the Canton Fair." Coming from the largest country in the global textile and garment industry with the most complete industrial chain and categories, exhibitors from the Textile and Garment section are not only offering one-stop purchase of quality products, but they are also aiming to transform their processes to meet market demand and increased competition. With consumer behavior continually changing, exhibitors in the clothing exhibition zone are showing an increasing focus on tailored premium products. Jack Zhu, Merchandise Manager of Zhejiang Jiaxin Silk Corp., Ltd, a high-end silk clothing manufacturer, noted that their signature product, silk clothing, is welcomed by European and American buyers, while they're also introducing value products that use silk-blended fabrics and silk cotton to accommodate different purchasing needs. The Case and Bags section offers more highlights in upgraded product design. With more than 70% market share, 20,000 Chinese manufacturers have produced more than one-third of all cases and bags sold around the world, and they are constantly seeking breakthroughs in product design, distribution channels and branding. 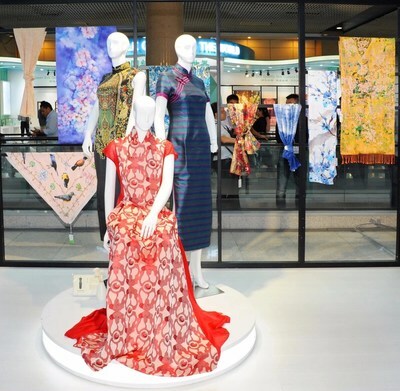 This year, exhibitors are introducing new materials and technologies at the Canton Fair. Xiangxing Group, China's largest case manufacturer, which produces travel bags and sports bags, is bringing their latest carbon fiber/aluminum material suitcases and bags. "Our latest design fully reflects current popular trend styles and types for cases and bags in the market," said Crystal Zheng, foreign trader in the company's International Department. "Canton Fair is the best platform to present and expand our product categories to target different markets with different potential designs, such as offering functional backpacks for North American consumers, colorful designs for South American clients and designer styles for Japanese customers." For more information, visit: http://www.cantonfair.org.cn/en/index.aspx.